Did you know that your Google My Business page can help your local business gain a competitive advantage in your local marketplace? Now, there are more than seven pizza places in my small town. But, if I didn’t already have a favorite pizza place in town and wanted to order pizza right now , who do you think I’d call? Most likely I would call one of the seven pizza restaurants with red balloons beside their names (the Google Places listings). Why search further down the page when everything I need to know to order a pizza — the business name, phone number and address — is right there at the top of the page? A surprising number of local business owners don’t understand the power of Google business pages to drive customers to their business. And that means they are probably losing business to competitors who have made it easy to find their businesses by creating and optimizing a Google My Business profile. Think like a customer who doesn’t know your business exists, but wants or needs to buy what you have to sell. What words or phrases would they type in to a Google search bar to find a business like yours? Do this exercise and see if you show up. If you do — congratulations! You have a built-in competitive edge over other local businesses in your marketplace. If you don’t show up in Google Maps for the logical words and phrases your hottest prospects would use to search for you online … then it’s time to get a Google My Business page for your business. You can set up a Google My Business profile on your own for free by going to Google.business.com and following the instructions there. 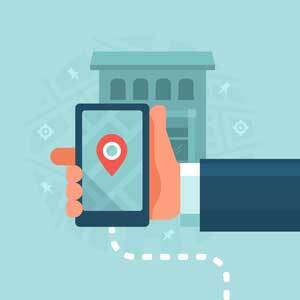 However, you need to know the “tricks of the trade” when setting up your Google My Business page to maximize your chances of getting a coveted spot in the top Google Maps listings for your business category. Just because you have set up a Google My Business profile, doesn’t mean you will automatically be placed in one of the top spots. Need Help Setting Up a Google Places Profile That Will Get Found By Your Hottest Prospects? Call Yvonne Herbst at Herbst Marketing, (540) 729-4076 for a free 15-minute consultation. Yvonne will explain what to do — and not what to do — to help ensure Google Places success.